Considering its aggregate ranking of 92%, we determined that the is, as of now, Phonerated's best phone 2019. We also believe that our 209 reviews sampled from our sources give us a high confidence level that justifies to call it a "no-brainer best choice." 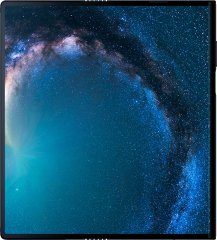 With its star rating of 4.5 computed from 60 reviews, here is second best phone. * By the way, our list is based on an in-depth analysis of hundreds of octa-core smartphone reviews from across the web. The Huawei Honor 10 Lite levels with a few full-fledged flagship smartphones by packing 6GB's worth of RAM. The BLU Vivo XL4 practically nails itself to a middle-class shelf spot by running on a 2GHz eight-core processor coupled with a 3GB RAM. The OnePlus 6T easily enters the high-end department hardware-wise, with a 2.8GHz eight-core engine and an 8GB/6GB RAM leading its under-the-hood specs. The Sony Xperia XZ3 lines up with many performance-driven 2018 smartphones by running on the 2.8GHz eight-core Snapdragon 845 engine. A phablet-class mid-range smartphone, the Motorola Moto G7 is equipped with specs like a 6.2-inch 19:9 LTPS display, a 12- plus 5-megapixel dual camera, and a 3000mAh battery pack. 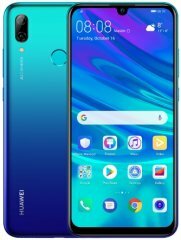 The Huawei P smart 2019 is a mid-level smartphone armed with specs like a 6.2-inch 19.5:9 display with a favorably-tiny dewdrop notch, a 2.2GHz octa-core processor, and a 13- plus 2-megapixel dual main camera. A high-stamina middle-class phablet, the Motorola Moto G7 Power's specs include a large 5000mAh battery, a wide 6.2-inch 19:9 HD+ (720p) screen, and a 12-megapixel 4K-video-enabled main camera. The Blackview BV9500 runs on MediaTek's 2.5GHz eight-core Helio P23 engine, which was one of the fastest processors in the mid-range market as of its release. 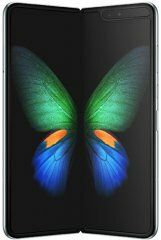 The Samsung Galaxy S10e runs on premium-caliber (as of 2019) hardware headlined by a 2.84GHz multi-cluster eight-core engine and an 8GB RAM. The Samsung Galaxy A80 boasts 8GB of RAM, which could appeal to heavy gamers and multitaskers. The Samsung Galaxy A2 Core runs on Android 8.0 Oreo Go Edition as a means to augmenting the performance of its relatively modest hardware components. The Nokia X71 runs on a so-so (by high-end standards) 2.2GHz octa-core engine aided by a tolerable 6GB RAM. The Huawei P30 lite runs on a 2.2GHz eight-core engine combined with a 6GB RAM and a 1GHz GPU, making it more attuned to gaming than a lot of older Huawei phones. The Samsung Galaxy A70 is a photography- and selfie-focused upscale smartphone whose specs include an auspicious triple-lens camera, a high-resolution 32-megapixel selfie cam, and a 6.7-inch 20:9 display. The Samsung Galaxy A20 is a budget-class large-screen smartphone whose 6.4-inch 720p Super AMOLED display is aided by specs like a 4000mAh battery and a 32GB memory expandable by up to 512GB. The Samsung Galaxy A40 accentuates its mid-level specs profile by running on a 1.8GHz (top speed) eight-core engine alongside a 4GB RAM. The Asus Zenfone Max Plus M2 combines a 1.8GHz octa-core processor and a 3GB RAM, which were typical hardware facets for a mid-end smartphone when it debuted. The Asus Zenfone Max Shot misses the 2019 Q2 flagship benchmark hardware-wise, running on a middle-class eight-core 1.8GHz engine alongside a 4GB RAM. The LG G8s ThinQ runs on the Snapdragon 855 2.84GHz octa-core engine, which was among the fastest mobile processors on the market as of its MWC 2019 unveiling. The LG V50 ThinQ 5G operates on the Snapdragon 855 eight-core 2.84GHz engine, which is the engine-of-choice for several other MWC 2019 flagships. The Sony Xperia 1 is powered by a 2.84GHz octa-core Snapdragon 855 engine, one of the fastest mobile processor's available as of its MWC 2019 unveiling. The Sony Xperia 10 runs on a 2.2GHz octa-core engine and 3GB of RAM -- a somewhat typical hardware combination among mid-end smartphones as of the MWC 2019. The Nokia 4.2 powers its middling specs profile with a modest eight-core 2GHz engine and either 3GB or 2GB of RAM. The Samsung Galaxy Fold is among Samsung's highest-specked models hardware-wise, packing a 2.84GHz multi-cluster octa-core engine alongside 12GB's worth of LPDDR4X RAM. The Huawei Y7 2019 is a middle-class smartphone equipped with specs like a 6.3-inch 19:9 dewdrop-notch screen, a 4000mAh battery, and a 13- plus 2-megapixel dual rear camera. The Huawei Y7 Prime 2019 is an overall mid-end smartphone banking on specs like a large 6.3-inch 19:9 HD+ (720p) display, a 16-megapixel selfie camera, and a sizable 4000mAh battery. The Huawei nova 4E hovers somewhere between the mid- and high-end categories with its 2.2GHz eight-core engine, 6GB RAM, and 1GHz graphics processor. The Xiaomi Redmi Note 7 Pro dials back the original Note 7's 2.2GHz eight-core engine to one running at 2GHz, while bumping its 4GB RAM up to 6GB.